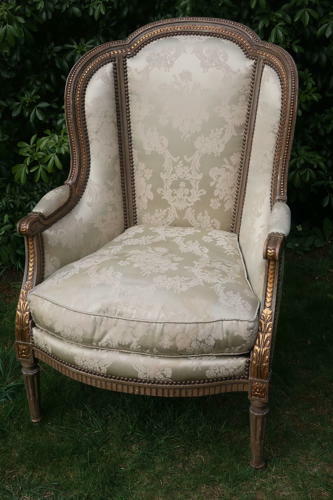 A French original paint and gilt armchair, an elegant design in the Louis XVI taste. In excellent condition with no breaks or wobbles. In the original fabric. Very comfortable.